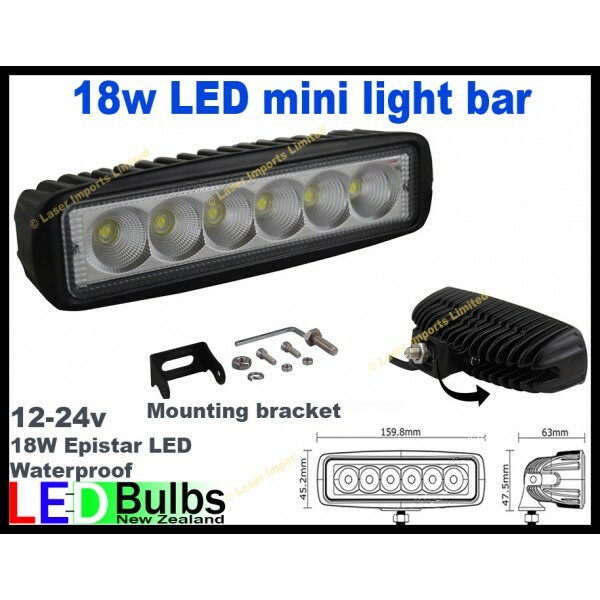 You are buying TWO 18W led flood/spot lights. It has a combination of flood and spot leds so you can get the light where you need it as well as flood the area so you can see what you are doing and where you are going. Great for deck lights, 4wd lights, spot lights for hunting rabbits, led work light, digger lights, reverse lights and anywhere where you need additional lighting. Works on both 12 and 24v. Can also be used on Boats, horse floats, caravan outdoor lighting, landscape lighting and tuck lights, awning light, reverse lights in cars. DRL in cars and motorbikes. See our other listings for led work lights, amber beacons, led spot lights, led light bars 15W, 27W, 40W, 60W, 180w, 120w, 240w led flood/spot lights. Yes we can provide a GST receipt on request.